Jacqueline is one of a few UK Physiotherapists combining Connective Tissue Manipulation (CTM), Manual Lymph Drainage (MLD), the MacKenzie Exercise Regime and Craniosacral Therapy in private practice. During the past four years she has successfully treated over 1,000 patients with spinal problems and a further 1,300 patients with other muscular skeletal problems in her Physio Centre in Dorset. In order to offer her specialist techniques to a greater number of patients she started the Physio Centre in Harley Street. A Chartered and State Registered Physiotherapist, Jacqueline qualified at St Thomas's Hospital, London with additional emphasis in the treatment of backs and necks. She spent five years at the Leicester Royal Infirmary gaining experience in all branches of physiotherapy and became Senior Physiotherapist on the Medical Unit. 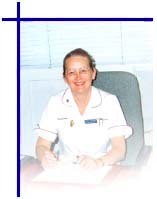 In 1977 she created an in-patient private practice at the Leicester Clinic, eventually covering all orthopaedic, spinal and post-op physiotherapy. Starting her own private practice on the base of this she developed a very successful practice in Leicestershire which she ran for 16 years before moving to Dorset.